Opposite the more famous Vietnam War Memorial Wall is the Korean War Memorial Wall. Etched on the wall are images from the Korean War. 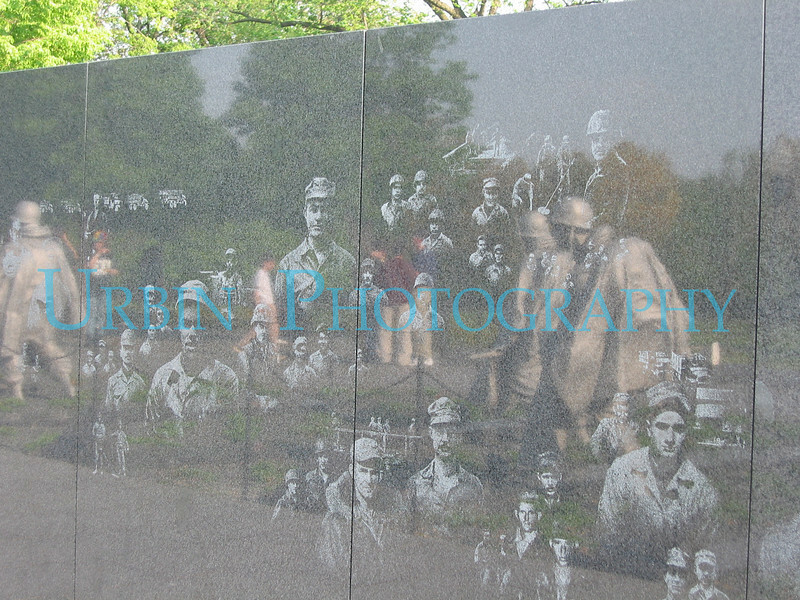 The statues reflected in the wall are also part of the memorial.